A simple soft effect to invert RGB and/or Alpha on the timeline in Nuke Studio 10+. This is written in blinkscript, so allows realtime playback. 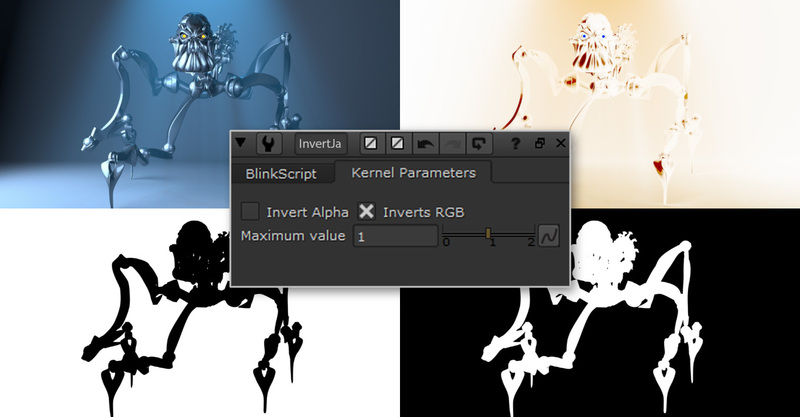 // Blink script to allow inverting of RGB and or Alpha channels. // No rights reserved, feel free to share, modify, etc. // Create a new blinkscript soft effect and load this file. // Note: This script assumes all values are between 0 to 1. // The maximum value parameter gives some control over this.